Still no lock screen album art? 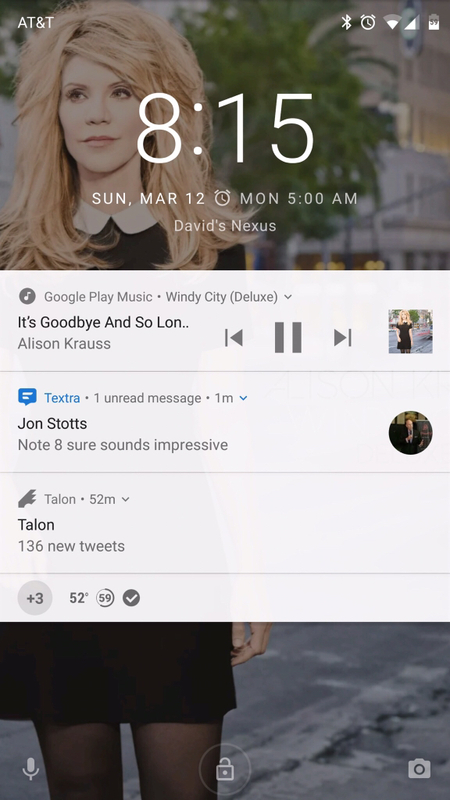 I assume that Samsung still doesn't allow full screen lock screen album art with the Note and latest version of TW? It's so beautiful that I don't know why Samsung disables it. Yes, but this looks so much better. Nah. From what I understand Samsung took away the function/ability a couple of versions of TW ago. Was grasping at straws that it was reenabled for the Note. Moto Z Play Circle Clock (command center) disappeared from lock screen?